Our 200th Sensational Haiku Wednesday! « You know… that Blog? 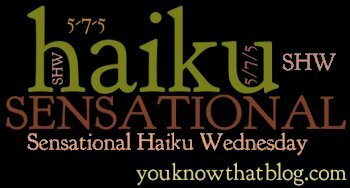 Our 200th Sensational Haiku Wednesday! Congratulations, Haiku-ers! 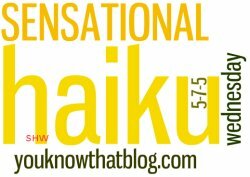 We have made it to our 200th week of Sensational Haiku! Quite a milestone, I’d say! Just added my haiku here. thanks for the prompt. Don’t feel bad about not leaving a comment on my blog. I wish we could enable name/URL without also enabling anonymous. The team and I made a decision against enabling these because of too many problems with trolls and spammers in the past. It’s a first line of defense against the trolls, who are sometimes really vicious although cowardly. Blogger doesn’t allow for enabling name/URL without also enabling anonymous, though. I hope the recent lack of contributors won’t precipitate your abandoning this meme. I know a lot of other haiku poets are struggling to keep up with two other Poetry Month challenges, and their (and my) time is limited! Thanks for “tree”–it’s something I can work with!